As I was roaming around looking at vintage kitchen things in Pinterest... 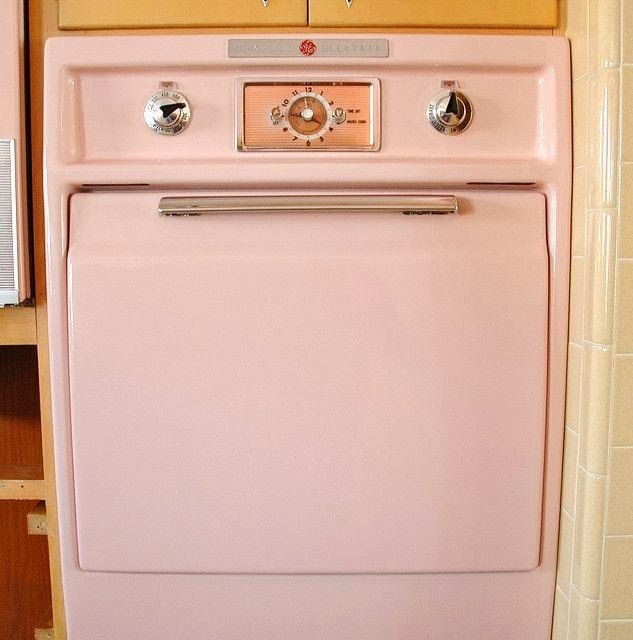 I stumble across a picture of a GE built-in pink oven from 1956. 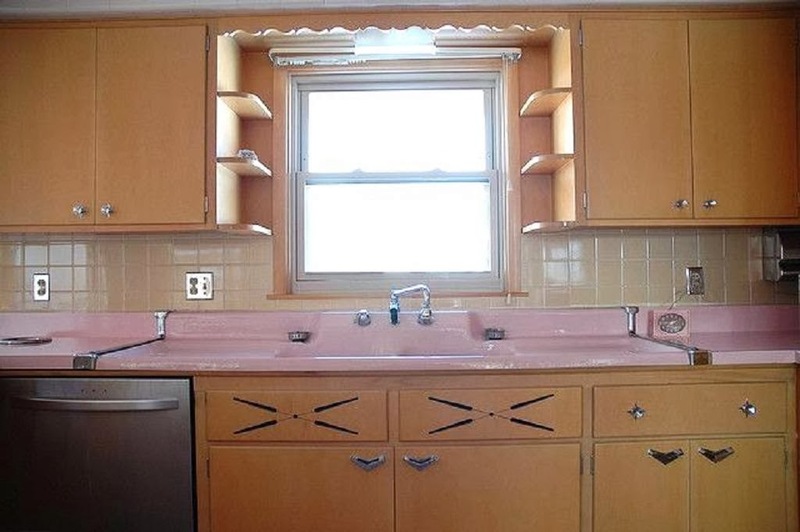 But it is that pink enamel...with the drain board sides style sink... that took my breath away. 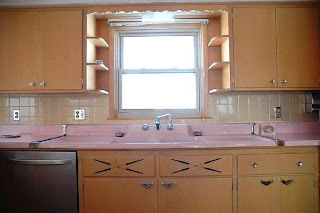 Which led me to this set of 38 full color pictures... of the most amazing vintage pink kitchen. A legitimate time capsule kitchen. In pink!!! It blows my mind that they were never used and that he is getting rid of them. Pure crazy! Just so wasteful and stupid. Doesn't he know how much he could have gotten for the whole house if that stayed in there? So, so sad. OMG dream kitchen! Although I would have painted the cabinets white, and probably switched the upper cabinet doors for glass paneled ones but still...unbelievable! OH MY GOD! How is this possible that the house was never occupied all these years? And the kitchen is BRAND NEW! Nothing used!!! And he is selling this kitchen piece by piece? How silly, this kitchen is beautiful. I have also wonder how it sat unused for decades. There is nothing that I don't love about this kitchen. 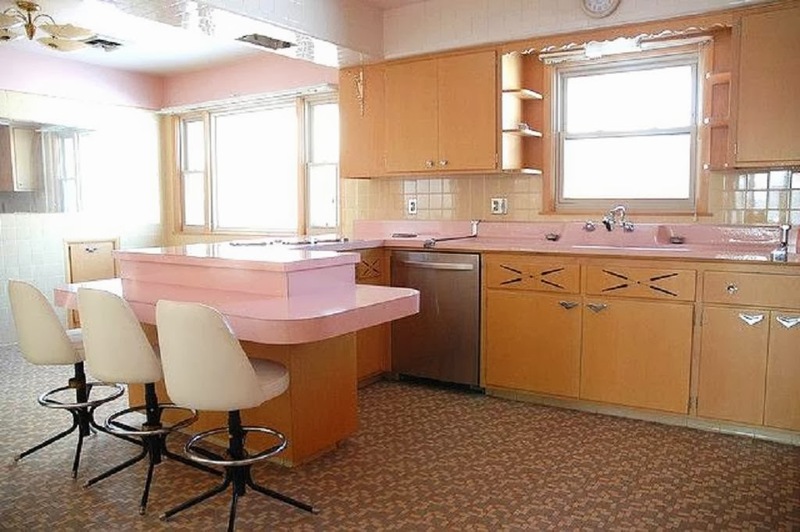 I am even in love with the pale pink Formica counter tops. Knowing I would never let a sharp knife near them. 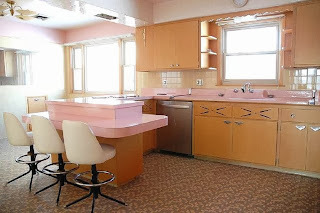 Do you know how thrilled I would be... if there was a shift to kitchens being about lots of color again. Where pink, green, turquoise and yellow appliances were available to the masses. We still use our pink GE oven, and of course we also have the pink wall refrigerator. Mom and Dad bought our home new in 1956. Dad's gone, but I'm back home so Mom does not need to be alone. ~ Turquoise Pyrex - JAJ Pyrex - Snowflakes! !